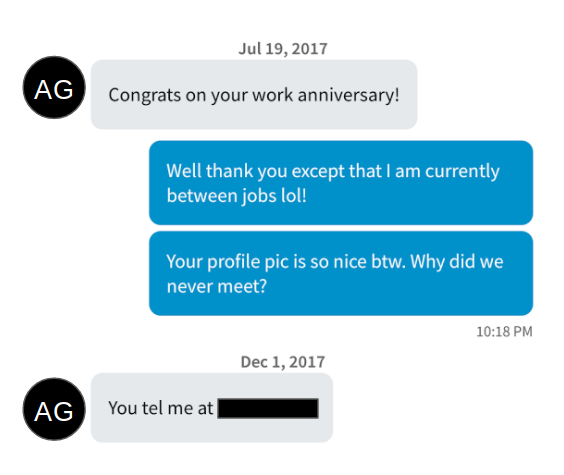 In July, this guy I had met on Tinder or Bumble contacted me on LinkedIn. 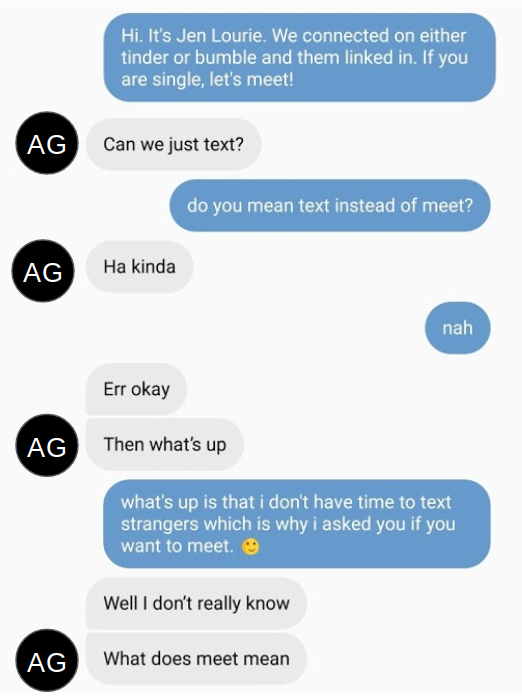 I vaguely remembered having had an enjoyable conversation with him months previously, so I decided to see if maybe we could finally meet. In his defense, um, LinkedIn. Yep, that is what we are up against, People. Welcome to being single in the 21st century. 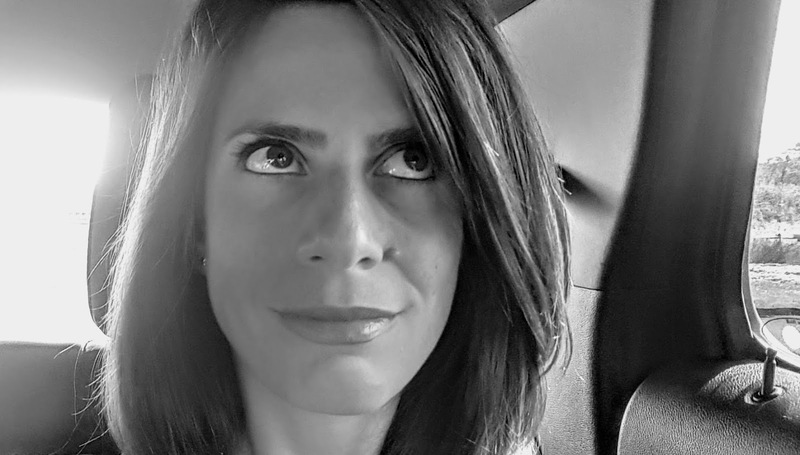 Tell me in the comments what kind of responses you get when you put yourself out there! I will tell you what I think what I see you. And I know you will like it. Your forgot to tell me. I'm guessing he is married or in a relationship.